Designed in our MADE Studio, Sybil is the definition of sleek modern style. 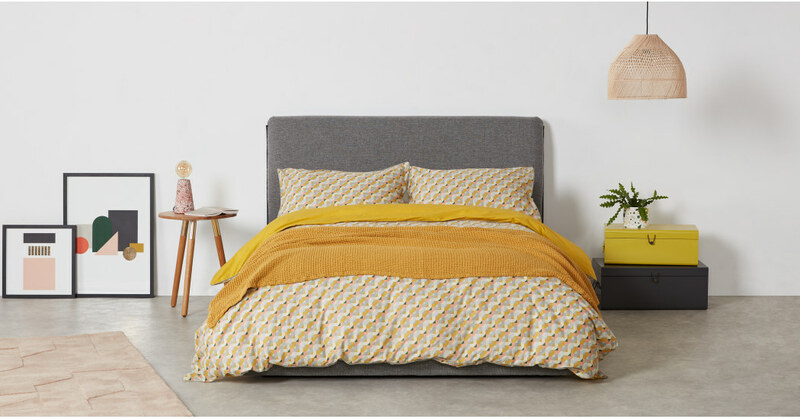 This king size bed set will add a touch of Nordic style to your bedroom with ease. Sybil features a striking multicoloured geometric pattern. And accented with a piped edge detail, this reversible bed set adds a sophisticated finish to any space. Crafted from 100% cotton, you can count on Sybil to make a comfortable bed. And its 180 thread count adds to its luxury feel.